The Expression centre mount hull is all fibreglass construction with foam filled floors, and measures in at 6.6m long without platform and 2.38m wide. The addition of a removable platform also creates a longer deck with more usable space. 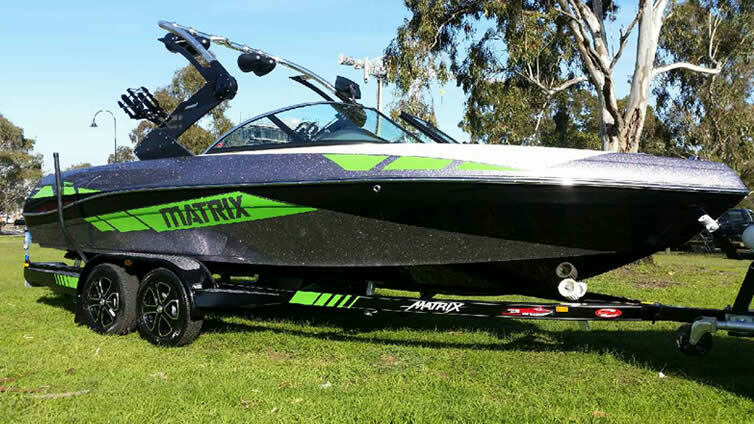 Highlights The all new Matrix Expression was built for wakeboarding from the ground up. Room will never be an issue again when riding in the Expression as there is enough room for family and friends. 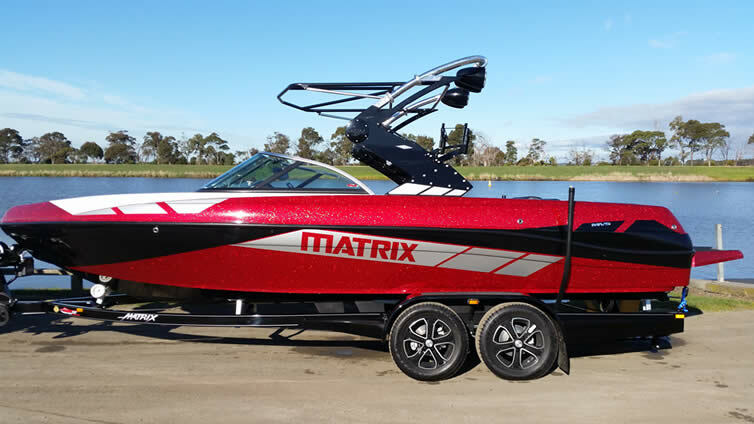 With the biggest bow rider on the Australian market and U-shaped rear seating, everyone has a seat. Behind the boat, riders are treated to a huge ramp with great transition that wakeboarders demand. Line length can be stretched out to enjoy big floating moves from the massive wake. 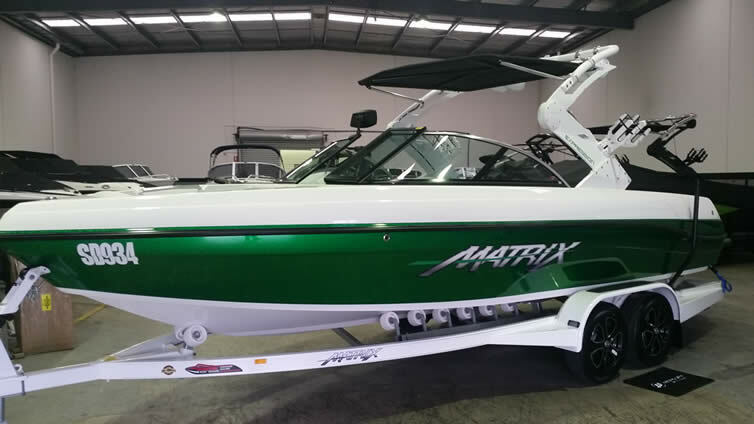 Features Feature highlights include pump in-pump out Factory Ballast to help boost the wake and a sleek designed tower to compliment the styling of the boat. High sides and sitting positions lets you see all the action while being protected from the elements. Three areas to relax and watch the action include the huge bow rider, U-shaped rear with engine seat and the cockpit observer's area.